Zero Point is the first 3D 360 degree movie created for the Oculus Rift on PC. In the film, we follow the pioneers of virtual reality; the researchers and developers creating an entirely new digital dimension. 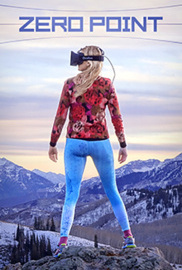 From combat training simulations at the Department of Defense, to research labs at Stanford, to indie game developers and hackers, this immersive video experience will bring viewers into the future of virtual reality.